Getting a credit card can be a bit of a risky business, as they tend to be double edged swords – yes, you can quickly find yourself up to your neck in growing piles of debt, but if you use them well, you can find them to be powerful money-saving allies. Some credit cards can offer you price protection, whereas others grant extended warranties, but the best of all credit card reward schemes are the ones which grant you cash back from your purchases. 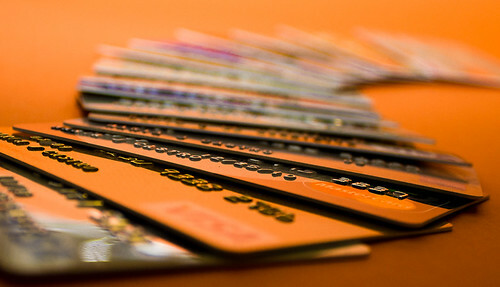 Here are some tips to help you use them the right way, thus getting the most from your credit cards. Although it might always be tempting to clear out a bit of space in your wallet by chucking out some of the cards you use least and only taking out one credit card, you can actually do better for yourself with rewards schemes by carrying a combination of credit cards. One of the better rewards credit cards is the American Express Platinum Cashback card. With this little beauty, you get 5% on anything you buy within the first three months of signing up, and 1.25% cash back on everything bought after that period. While this is a great deal, a lot of places might not accept American Express cards, so it would be best to partner it with a MasterCard to make sure you can get your cash back wherever you may roam. Carrying a few different ones might get confusing – which one gives the interest free repayments, and which is better for buying petrol? Our solution to this problem is simple – label each card. Use a marker pen to note down what each one is best for and you’ll never be confused about which loyalty cards are best for each situation. Oh, and if you’re wondering about the best one to use when filling your tank, we recommend the Santander 123 Card – 3% cash back! Some loyalty cards offer their most generous rewards at supermarkets and the like, so you can get 5% cash back on your apples, corn flakes and cat food. Although this is a pretty sweet little deal, it does have the nasty (and intended) effect of limiting your returns. Most supermarkets nowadays, however, offer a great deal of variety, so don’t be afraid to go outside of your usual comfort zone and put your Tesco Clubcard Credit Card to good use down your local Tesco Extra, which should stock televisions, vacuum cleaners, laptop computers and a wide range of store gift cards, meaning you could actually be getting your cash back whilst you shop at TopShop or iTunes!